Dale Hey Touring Park offers a fantastic location for families, walkers and those who love the countryside. Our Touring site is situated adjacent to a 12 acre broad leaved woodland planted in 2003 Paths are clearly marked so that you can enjoy our site fully. All pitches have electric hook up and there is a heated toilet and shower block on site, And are open all year. We also host organised club meets at various times throughout the year. 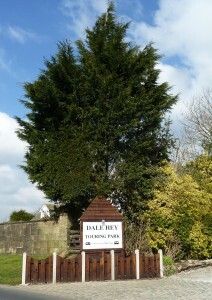 Thank you for visiting the Dale Hey Touring park website.